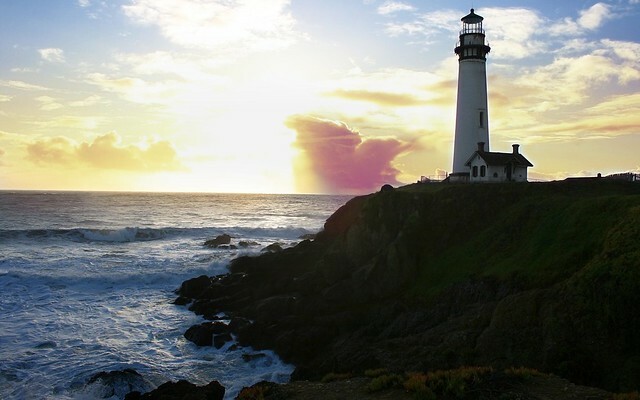 This entry was posted in Photos, Poetry and tagged clouds, haiku, lighthouse, ocean, sunset, surf, waves. Bookmark the permalink. I’m not very expert at handling the light; there was too much coming from the sun, which is why the rocks were so dark. I notice on your blog that you’ve got filters and lenses and are learning photography techniques; any tips on how to handle this type of situation better? I’d say the sky is quite well exposed, maybe just a little too bright where the sun is. Because of this your camera has underexposed the rocks which makes them appear too dark. One way you could fix this is by buying a ND grad filter which will, while you take the photo, darken the sky meaning that the rocks will be better exposed. Another way is by using the shadows/highlights tool in Photoshop to lighten the rocks. I wouldn’t be too disappointed with this image, overall it’s very good.